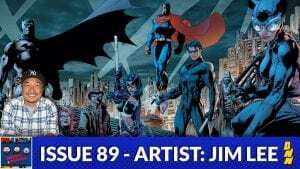 Sticking with our theme of dedicating an episode to one Image founder per month, this month we cover the career of Jim Lee! The man has worked across Marvel, DC, and helped start Image. His writing ability almost parallel to his artistic talent, Jim Lee’s history is a fun, fascinating story! Available on iTunes, Stitcher, and Google Play!